At first, the Ichimoku Cloud actually looks a little scary when applied to the chart, but once you know how to use it, it’s easy to understand and helpful, especially if you’re a newer trader and want potential support and resistance areas and trend direction highlighted for you. Ichimoku Cloud includes five lines, each giving information about the price action. The distance between two of these is filled in, creating a cloud-like appearance. For many traders who use this indicator, the “cloud” is the dominant factor, and what they focus on. Ichimoku Cloud can be used on various time frames or markets. 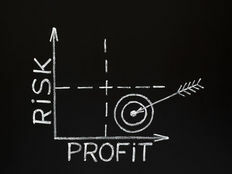 All charts courtesy of FreeStockCharts.com. The following calculations are based on default indicator values, such as using nine periods for the Conversion Line. 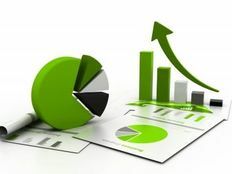 These defaults can be easily adjusted on a charting platform, such as FreeStockCharts.com or StockCharts.com, to suit an individual trader’s needs. The red line in Figure 1 is Tenkan-Sen (Conversion Line). It’s the midpoint of the last nine price bars: [(9-period high + 9-period low)/2]. The white line is Kijun-sen (Base Line). It’s the midpoint of the last 26 price bars: [(26-period high + 26-period low)/2]. The yellow line is Senkou Span A (Leading Span A). It’s the midpoint of the above two lines: [(Conversion Line + Base Line)/2]. This value is plotted 26 periods into the future. The blue line is Senkou Span B (Leading Span B). It’s the midpoint of the last 52 price bars: [(52-period high + 52-period low)/2]. This value is plotted 26 periods into the future. The green line is the Chickou Span (Lagging Span), and will always lag behind the price; it’s the most recent price, plotted 26 periods back. This line is not used in the methods described below, and therefore has been removed in those associated figures to reduce chart clutter. The cloud offers the most potential for traders, since it is easy to interpret and provides predictive support and resistance levels projected out 26 periods from the current period. Here are the ways the cloud is used to assess price action. Trend Confirmation: When the price is above the cloud it indicates an uptrend, when the price is below the cloud it indicates a downtrend. Trend Strength or Weakness: When Span A (yellow) is moving up and away from Span B (blue) it indicates the uptrend is gaining momentum. When Span A is moving down and away from Span B it indicates the downtrend is accelerating. In other words, a thickening cloud helps confirm the current trend. A very thin cloud shows indecision, and a potentially weak or weakening trend. Support and Resistance: The cloud is projected out 26 price bars to the right of the current price, providing an idea of where support and resistance may develop in the future. During an uptrend, the price will often bounce off the cloud during pullbacks and then resume the uptrend. During a downtrend, the price will often retrace to the cloud and then continue lower. Therefore, the cloud presents entry opportunities into the trend. Crossover Signals: If the trend is up (price above cloud and Span A is above Span B), and the Conversion line falls below the Base line and then rallies back above it, it signals a long entry. If the trend is down (price below cloud and Span A is below Span B), and the Conversion line rallies above Base line and then drops back below it, it signals a short entry. Another entry signal involves the price and the Base line (can also use Conversion line). If the trend is up and the price drops below the Base line, buy when the price rallies back above the Base line. If the trend is down and the price moves above the Base line, short sell when the price drops back through the Base line. Notice how these tactics capitalize on the current trend. By understanding how the indicators confirm a trend, they can also be used to show when a trend is reversing. Even on the choppy, yet trending, JCP daily chart in Figure 2, the Ichimoku Cloud indicator would have been useful. At the far left the price is in a downtrend, but when the cloud fails to act as resistance, and price moves above it, that movement signaled a potential trend reversal. Now that the price is above the cloud, the cloud acts as support, and provides several trade signals to get into the emerging uptrend. Figure 3 shows a very strong downtrend in TWTR as the price trades well below the cloud and the cloud is also quite thick throughout the significant declines. One short trade is provided by the price crossing above the Base (or Conversion) line and then dropping back below. As the price rises in June, the Cloud narrows, showing the downtrend is losing momentum. In late July the price breaks definitively above the cloud, indicating a trend reversal. Like most indicators, Ichimoku Cloud only gives information on the time periods being analyzed, even though the cloud is projected out into the future. This means there may be larger trends at work that the indicator doesn’t account for, and false trade signals or data may be generated. For example, the dominant trend may be down, but the price could rally above the cloud on a retracement, only to continue falling within the downtrend a short time later. The cloud is also just essentially a pair of moving altered moving averages, which may or not provide support during an uptrend, or resistance in a downtrend. All calculations are also based on historical data, which means trade signals may appear late or at inopportune times, because historical short-term tendencies (which the indicator captures) may not repeat in the future. While entry signals are provided, traders will need to determine where to take profits (See: 3 Ways to Exit a Profitable Trade), and also how to control risk on each trade via a stop loss order (See: 4 Ways to Exit a Losing Trade). The Ichimoku Cloud is a useful indicator, especially for new traders who want some help with gauging trend direction, momentum, spotting trend reversals and finding entry points. 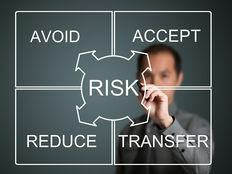 Traders will still need to control risk with a stop loss and also find a way to profitably exit trades. With all its lines, the Ichimoku Cloud can appear scary, but basically if the price is below the Cloud, the trend is down; look for short positions and avoid long positions. When the price is above the Cloud, the trend is up; look for long positions and avoid short positions.